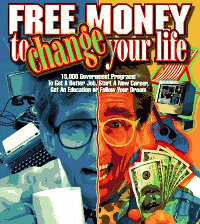 "Money is Free. Get Used To It." "Equity markets systematically move money from the less informed to the better informed. The problem with Managerial Capitalism is not that it's too pervasive and powerful (though it is), but that it is so poor at doing what it claims to do best — allocate people and resources skillfully and compellingly." Capitalistically funded and traditionally managed big companies are terribly inefficient and deliver things many people don't really want, and they're bad at leading people to fulfill their potentials and use their skills really well. So, why are they still the main thing? I'd say, because of the first point, that the people who create them are more well-informed about some important things than you and I. Not well-informed about what we really want, or the best ways of producing that, but well-informed about capital - how to get it, keep it and increase it. And how to keep the general public in the dark concerning your game. They make it look like we all can be co-owners of the capital, owning stocks, investing, having good credit, having a nice credit line, etc. But that is just a distraction, I think. The real thing that would make a difference would be the information about how to organize people and resources efficiently and effectively, without needing investment capital and without needing managers. I.e. the knowledge of how to bring the elements into synergy, without requiring the one guy with all the money to be in charge. I'm still planning on moving to France. My kids aren't exactly thrilled, except for the smallest one, who's easily excited about the prospect of going just about anywhere. And, based in part on good feedback, I think I'll change my mind and focus mainly on Southern France, as in the South West, Midi-Pyrenees Region. The Cote d'Azur (French Riviera) to the South East also sounds warm and glamorous at first, but crowded and touristy. I don't want to make the same mistake as when moving to California first, we moved to Hollywood, because it sounded like a glamorous thing to write home about. But for people in L.A. Hollywood is mostly just a bad neighborhood, albeit colorful. So, as to South West France, the most vibrant area on various counts would be around Toulouse. It is a big city with lots of high tech computer and aerospace companies. But the bigger area is not very crowded, so you're quickly out in the country. And the whole area has lots of culture and history. Now, it is of course hard to figure it all out in advance, but I think that'll be my starting point when we go and explore a bit.